Kernel Capital and Suir Valley Ventures has invested a total of €2.25m in Dundalk based cybersecurity firm Nova Leah. The funding was led by the Bank of Ireland Kernel Capital Growth Fund, with a €1.5m investment. The Co Louth company has developed a cybersecurity compliance solution for medical device manufacturers and healthcare providers. This has been designed to improve the security of connected medical devices, improve patient safety and reduce associated regulatory costs. Connected medical devices are a fast growing sector in healthcare and there are currently 10-15 million connected devices in use globally. Cybersecurity spend in the healthcare sector is valued at $5.5 billion a year and is expected to reach $11 billion by 2020. 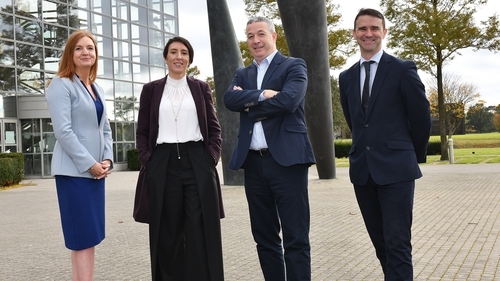 The company's chief exeuctive Anita Finnegan said the €2.25m investment will allow the company to expand its team, further develop its product roadmap and build its presence in the marketplace. "This investment milestone will see Nova Leah further expand on its existing success as we strive to become the number one provider of cybersecurity compliance solutions for the connected medical device industry," the CEO added.